HLN will debut its updated set, logo, graphics and brand on Tuesday. Using CNN’s former home, Studio 7 in Atlanta, the refreshed network hopes to attract millennials with a focus on social media. The hallmark of the new channel is “The Daily Share,” it’s daytime ‘connected’ show. The show will have a cross between a “start-up and a coffee house” for its set design as AdAge notes. 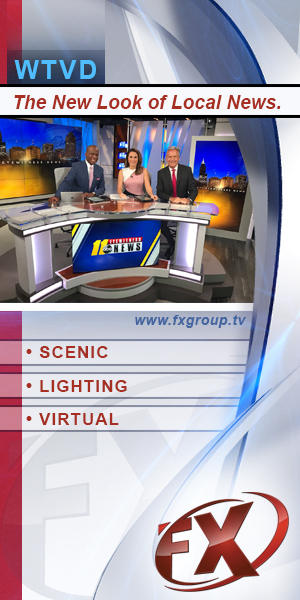 The set does not feature a large anchor desk, but instead “social circles” and comfy furniture. Based on the photo, it looks like a game show set, so we’ll have to see it in use. 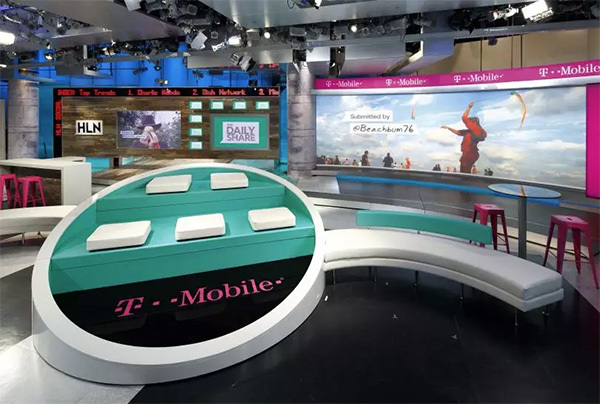 T-Mobile has signed on to sponsor the show, with its logo adorned throughout the set and graphics.